The Family Christmas Fireworks Show made its debut during the 2001 festival and has been an exciting addition every year. 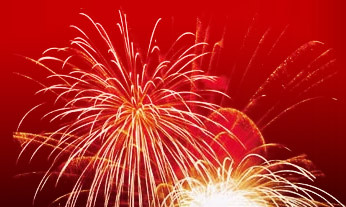 The display is held on December 7, 2019 at 6:30pm and is one of the largest fireworks shows in southeast Michigan and considered a master show. The high shot show provides great viewing throughout the village that brings smiles and cheers from the 48,000 plus visitors that are lining the streets in anticipation of the Granddaddy of light parades, the Christmas in Ida Parade of Lights. The fireworks show is coordinated with live music on stage at the Ida Township parking lot.